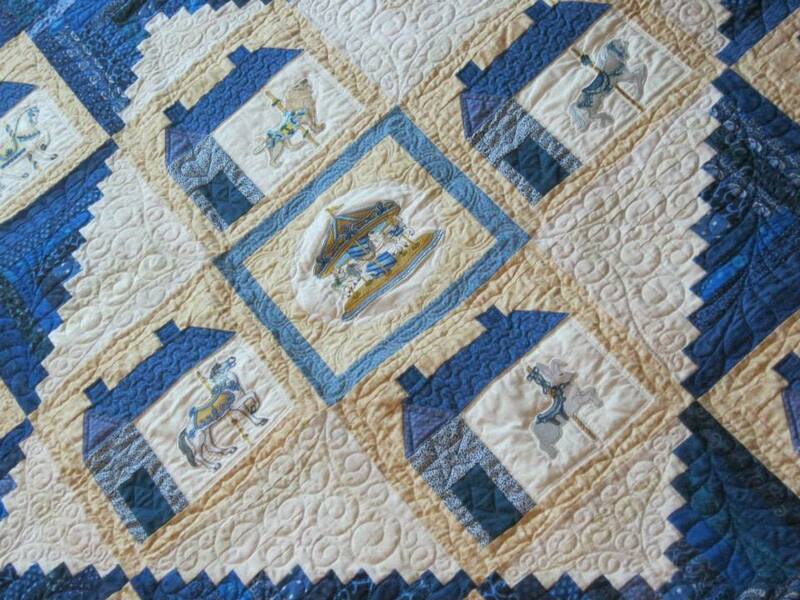 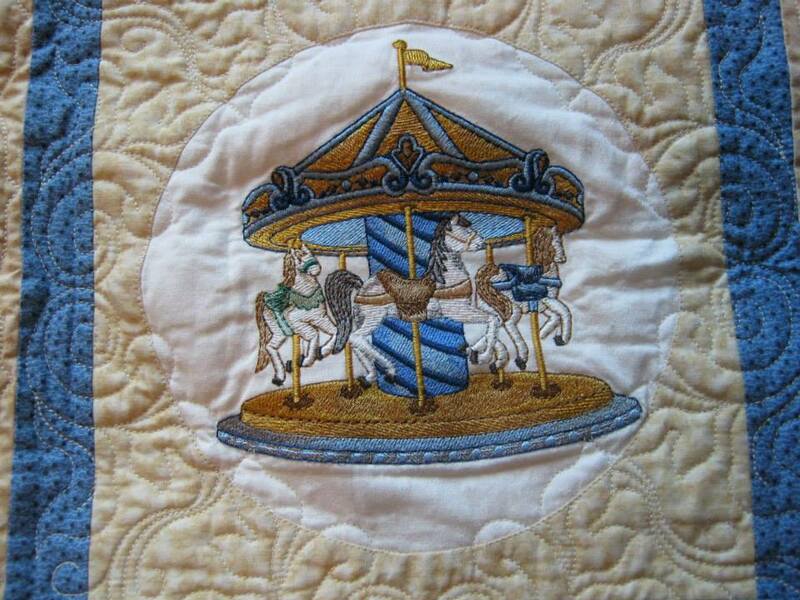 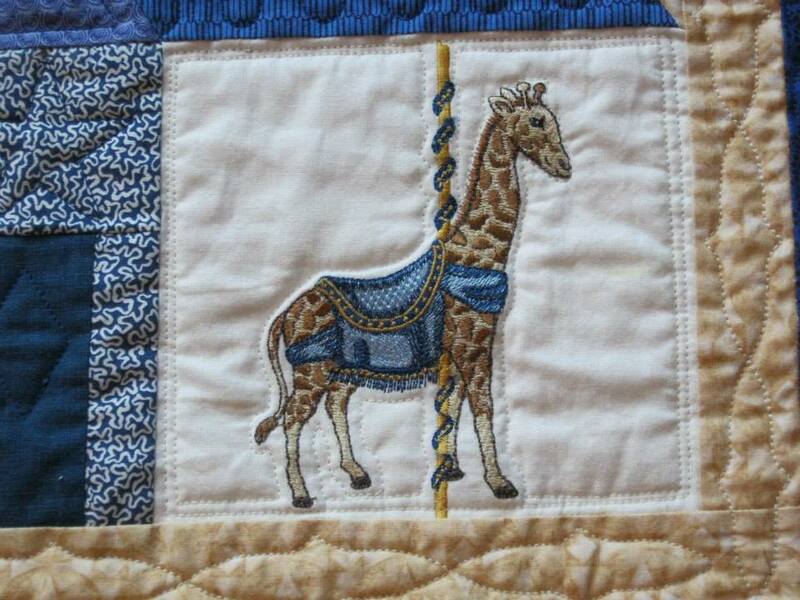 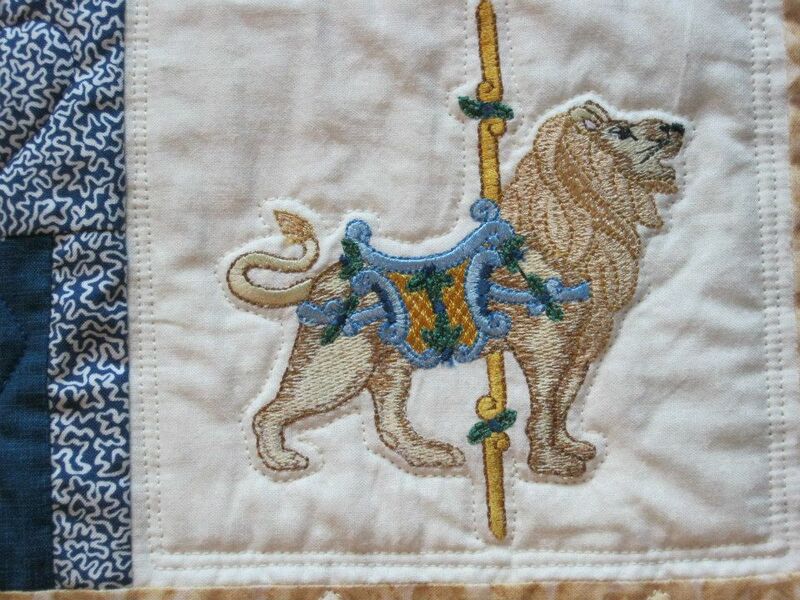 Our first raffle quilt featured embroidered carousel images set in a log cabin background. 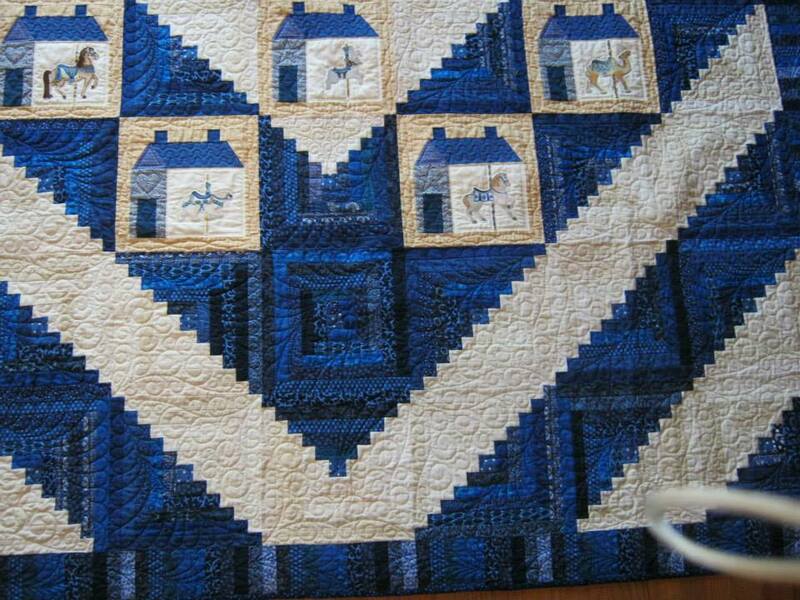 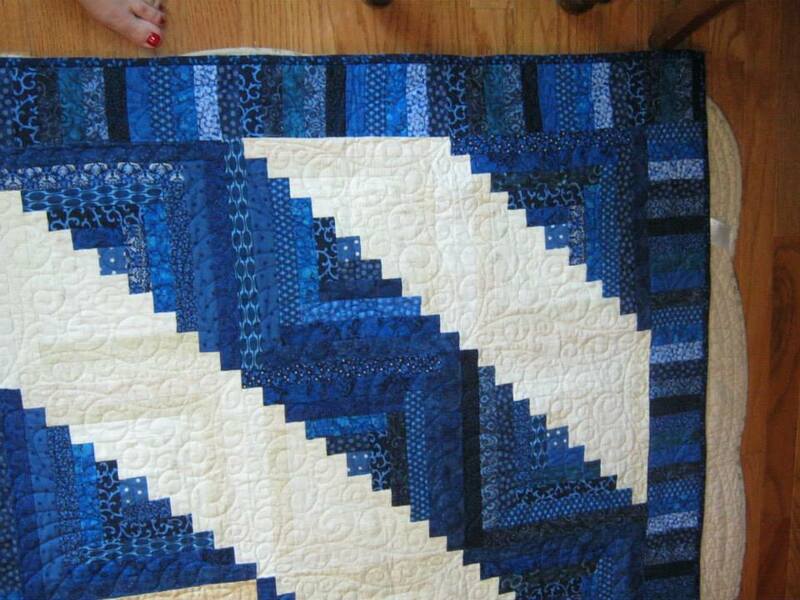 Linda Ford was the lucky winner of the raffle and received the quilt in December of 2015, and then Linda joined our guild! 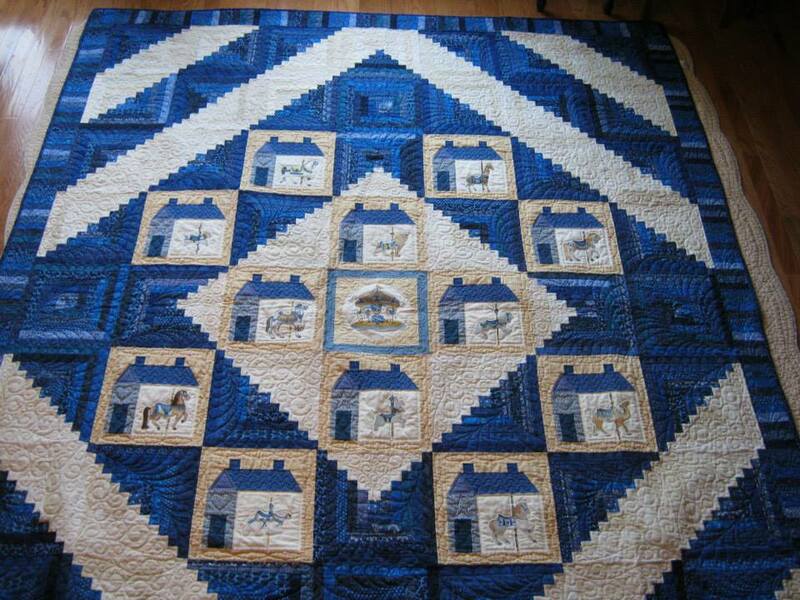 Click on any photo below to see a larger image or slide show.